Ueli Maurer is professor of computer science and head of the Information Security and Cryptography Research Group at the Swiss Federal Institute of Technology (ETH), Zurich. His research interests include theory and applications of cryptography, information security, theoretical computer science, information theory, and discrete mathematics. One of his long-term research goals is to establish a constructive theory of cryptography and to apply it to the modular design of provably-secure cryptographic protocols. He has served as Editor-in-Chief of the Journal of Cryptology from 2002 to 2010, as associate editor for the IEEE Transactions on Information Theory, and currently serves as associate editor for the Journal of Computer and System Sciences. 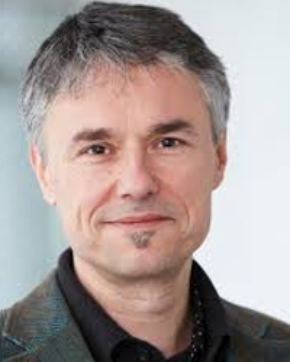 He is an IEEE Fellow, an ACM Fellow, an IACR Fellow, and a member of the German Academy of Sciences (Leopoldina). He was the 2000 Rademacher Lecturer of the Department of Mathematics at the University of Pennsylvania and received the 2013 Vodafone Innovation Award for Mobile Communications, the 2016 RSA Award for Excellence in the Field of Mathematics, and the 2016 Theory of Cryptography (TCC) Test-of-Time Award. Maurer has served many companies and start-ups as board member and consultant.